Hydraulic fracturing or, as it is commonly called, fracking, is a technique used for accessing natural gas and oil in tight geologic formations. The process involves the horizontal directional drilling of wells in addition to the use of water, sand and chemicals at high pressures to fracture rock and release hydrocarbons. A well is drilled vertically to the desired depth, then is turned at an angle and continues horizontally for several thousand feet into the formation believed to contain the trapped natural gas or oil. A mixture of water, sand, and chemicals is pumped into the well at high pressure in order to create fissures in the shale rock, which increases permeability and allows the hydrocarbons to escape. Natural gas or oil is released through the fissures and is drawn back up the well to the surface. The natural gas or oil is collected at the surface and is processed, refined, and shipped to the market. Water and sand make up 98 to 99.5 percent of the fluid used in hydraulic fracturing. In addition, chemical additives are used but the exact formulation varies depending on the well. 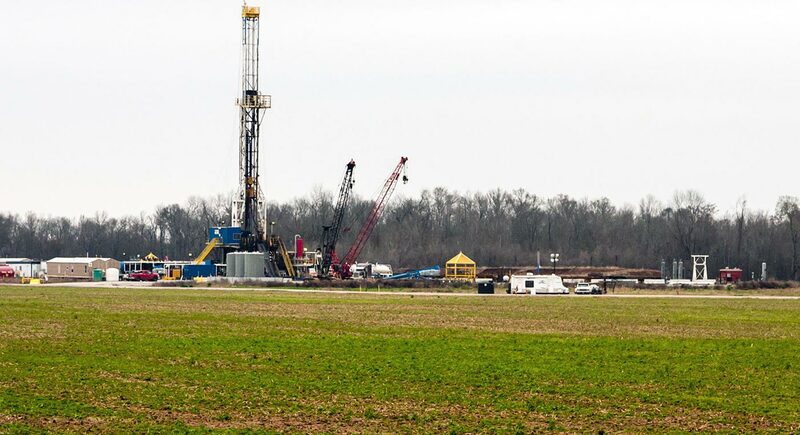 Due to the decrease in the costs of fracking and advances in the production process, oil and natural gas that were previously unrecoverable are now accessible. This had led to an increase in supply of both oil and gas in the world market, and has meant greater energy independence for countries, such as the United States, that can now access an abundance of these resources. The development of fracking has been controversial due to environmental concerns. The process typically requires 11 million litres of water per well, which is up to 100 times more than traditional extraction methods.1 This varies greatly depending on the geologic properties of the well. Other environmental concerns include contamination of ground water, depletion of fresh water, and surface pollution in the drilling process. There are also concerns linking fracking to enhanced seismic activity.